One of the regulars on the show, Maria played the tough and driven Siobhan Sadler (AKA Mrs. S), foster mother to clones Sarah (Tatiana Maslany) and Felix (Jordan Gavaris), with a twisted family history. 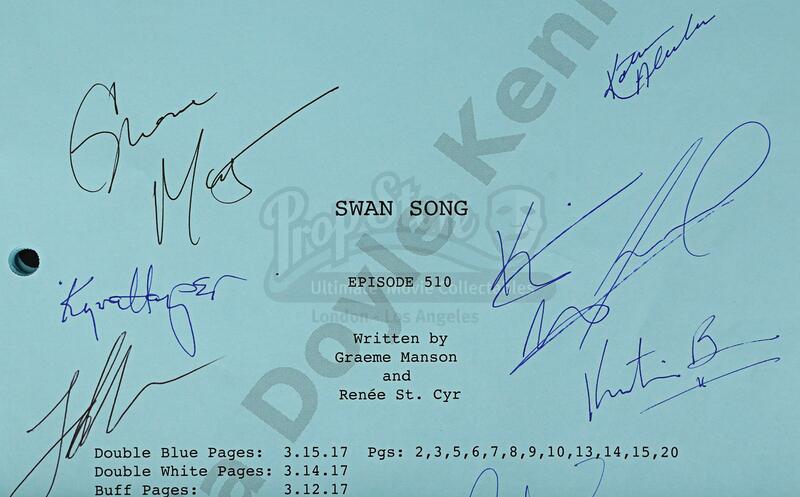 The autographed script is from the tenth episode of the fifth season, written by Graeme Manson and Renée St. Cyr. The revised script is 47 pages long and dated 15th March 2017. 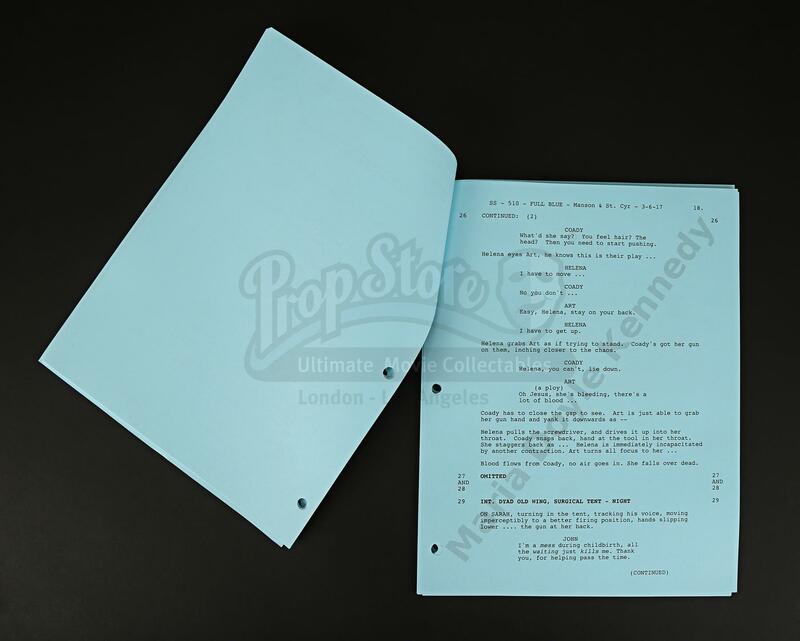 The script is printed on blue paper and held together with a brass split pin. 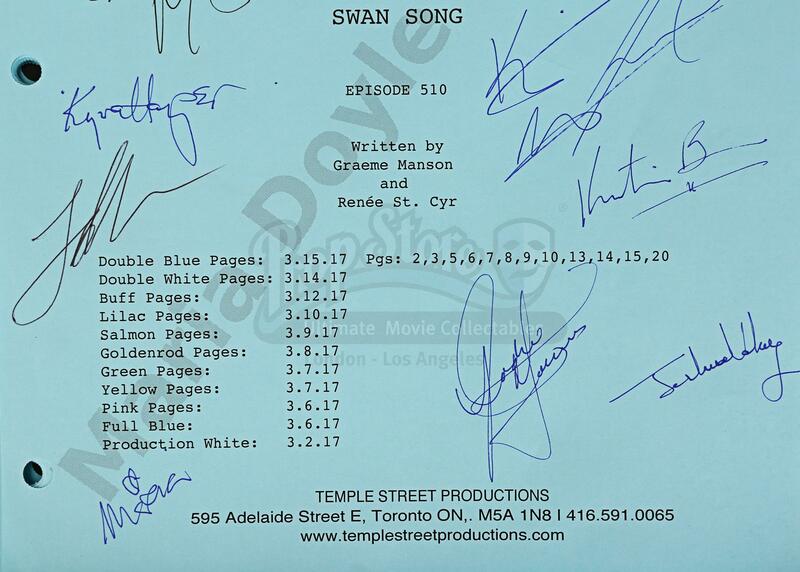 Each page is watermarked with Maria’s name, and the title page features the season’s working title “Swan Song”, referring to the show’s final season.